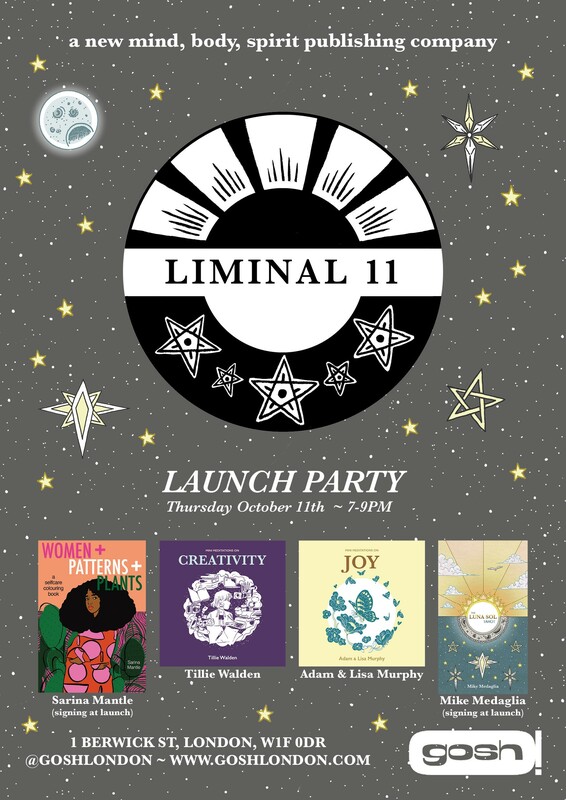 We’re having a party to celebrate the publication of Liminal 11’s first titles and our official launch as a new publisher! And you’re invited! Mike Medaglia and Sarina Mantle will there signing copies of The Luna Sol Tarot and Women + Patterns + Plants, and we’ll also have copies of Mini Meditations on Creativity and Mini Meditations on Joy. It’s been such an exciting journey from the initial seeds that led to Liminal 11’s founding to actually being able to hold our first titles in our hands. We absolutely can’t wait to celebrate, and we hope you’ll come and be a part of it! To help give us an idea of how many to expect, please RSVP on Facebook.